JB Hi-Fi has won an icare Aware Award for excellence in injury prevention. Over the past two years the retailer has run a program of initiatives to improve safety standards across its 65 NSW stores. During the first year the initiative was rolled out the company started seeing a significant drop in its lost time injury frequency rate, which has declined 40% over the past year, according to JB-Hi-Fi national Occupational Health and Safety manager, Tara Ryan. “We are as committed to the safety of our team members as we are to providing excellent customer service. Everyone across JB Hi-Fi, from store teams through to merchandising teams, embrace our commitment to safety with enthusiasm rather than seeing it as a hassle or ‘another thing to do’. Safety is not seen as an initiative but rather ‘our way of working’,” she said. JB Hi-Fi is also focusing on mental health and well-being initiatives to promote even safer ways of working. The company’s approach to safety is built upon strong commitment from senior management with a continued focus on enhancing safety culture and performance. The retailer regularly develops safety improvement strategies including safety training for area and store managers, weekly safety talks, and development of injury management packs. JB Hi-Fi has also invested in upgrading equipment to eliminate hazardous manual tasks, including a special trolley designed by one of its employees (pictured). 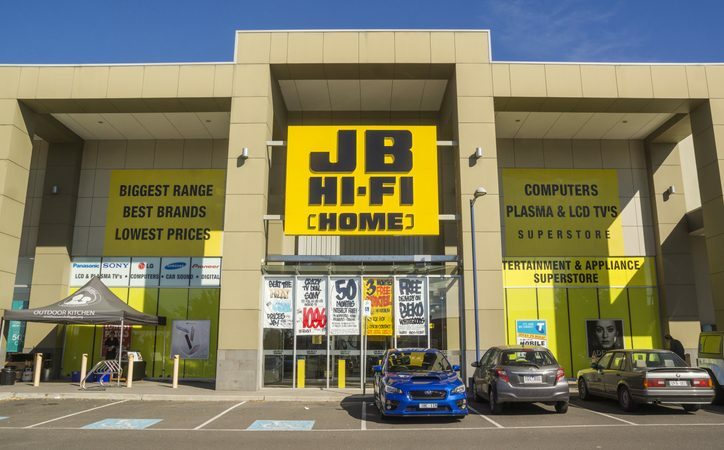 According to icare general manager for prevention product and pricing, Jason McLaughlin, JB Hi-Fi is a good example of a business with not only a ‘we can do it’ attitude but also a ‘this is how we do it’ attitude. “That’s how a strong safety culture is born and is the best defense in reducing injuries in the workplace,” he said. The icare Aware Awards recognise NSW businesses that strive to keep their people safe and are also an opportunity for businesses to showcase their initiatives and share best practice with their industry. This article was republished with permission from Appliance Retailer.